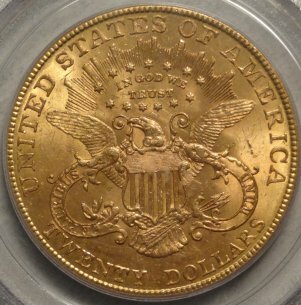 1894-P U.S. $20 Liberty Head Gold Double Eagle MS62 (NGC)... A solid original "crusty" Unc coin from the 19th Century. 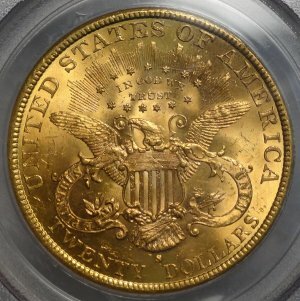 1895-S U.S. $20 Liberty Head Gold Double Eagle MS62 (PCGS)...An original crusty orange coin - premium quality for the grade. 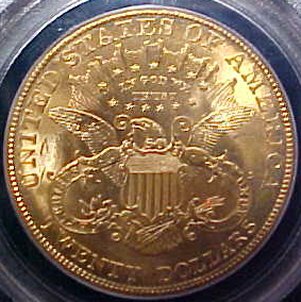 1898-S U.S. $20 Liberty Head Double Eagle Gold Coin MS64 (PCGS)...SCARCE! 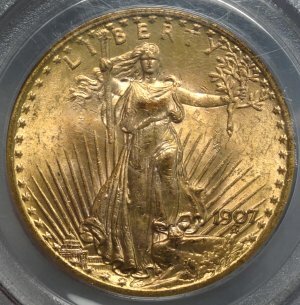 An exceptional example with the extra WOW Factor in the eye appeal category! 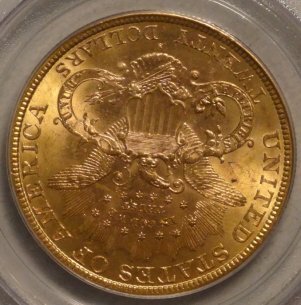 An extremely premium quality example, well struck and worthy of a higher grade and certainly at the least a CAC approval. 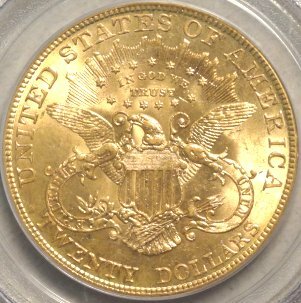 1904-P U.S. $20 Liberty Head Gold Double Eagle MS63 (NGC)... 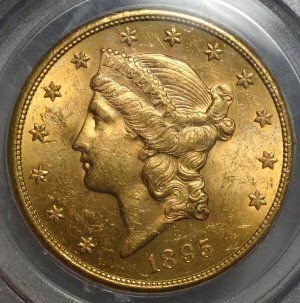 Bright, clean surfaces with bold luster. 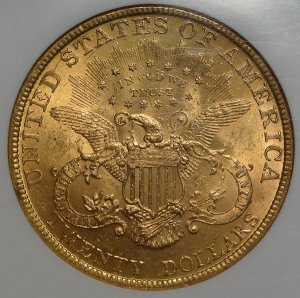 From our collectors cabinet. 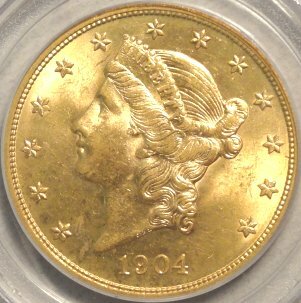 1904-P U.S. $20 Liberty Head Double Eagle Gold Coin MS63 (PCGS)... 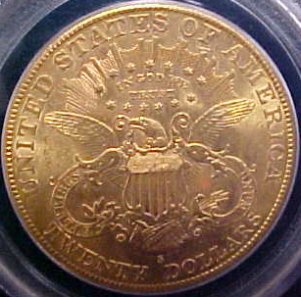 Superb and under graded. 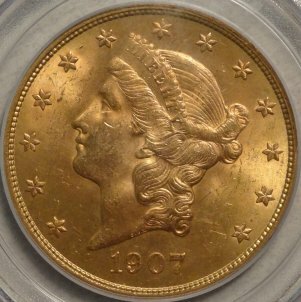 1907-P U.S. $20 Liberty Head Gold Double Eagle MS61 (PCGS)...premium quality for the grade! 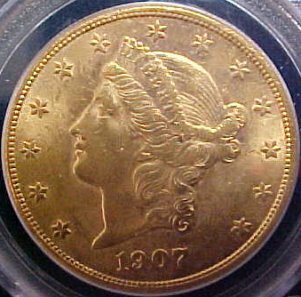 1907-P U.S. $20 Liberty Head Double Eagle Gold Coin MS64 (PCGS)...SCARCE! 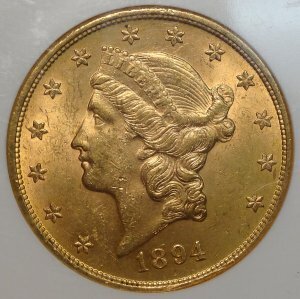 A beautiful exact original with lovely patina on both obverse and reverse. 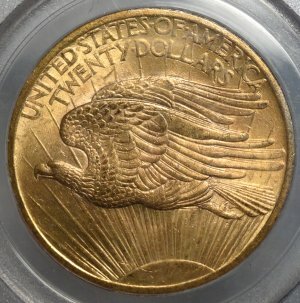 If you are wanting the perfect as struck example from a 60 year collection, here it is. 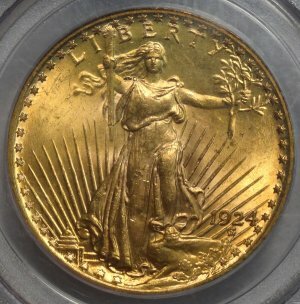 1907-S U.S. $20 Liberty Head Gold Double Eagle MS61 (PCGS)...premium quality for the grade! 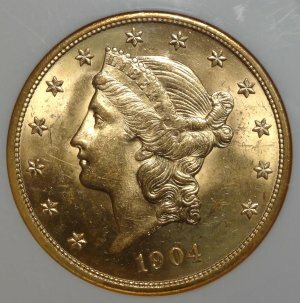 Thinking of selling your rare coins or precious metals? 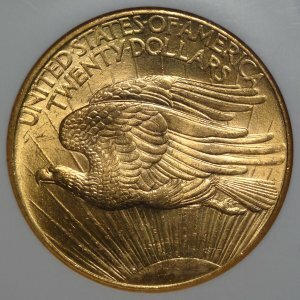 Please...call us at 1-800-279-4337 and receive current real-time prices! 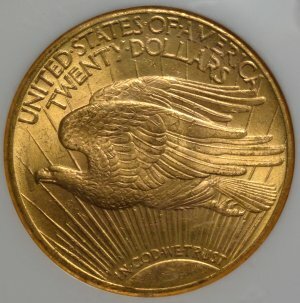 SELLING ONLY TAKES A MOMENT OF YOUR TIME!...simply call us for current prices for the coin/s you wish to sell and upon your acceptance request a confirmation number which serves to confirm your transaction (your confirmation number also >>>locks-in<<< your prices). 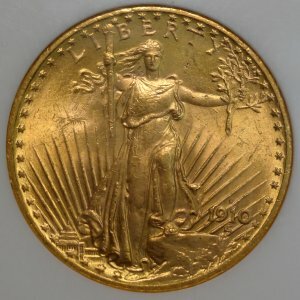 Then ship your coins FULLY INSURED VIA U.S. REGISTERED MAIL. 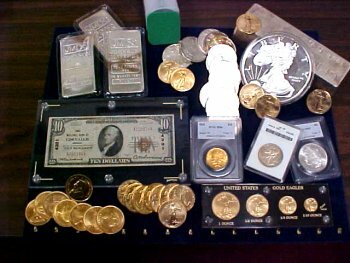 Upon receipt, MJPM will call to confirm your shipments safe arrival and issue your check the same day! 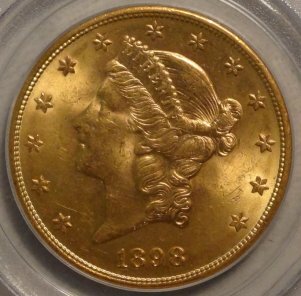 You will discover MJPM to be extremely competitive on all rare coins, gold and silver coins, platinum coins/bars, and currency. 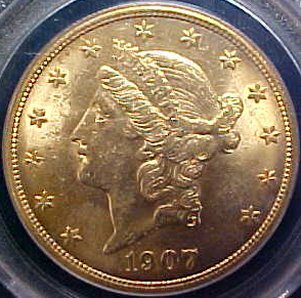 1907 U.S. $20.00 Hi Relief Wire Edge Gold Coin MS61 (PCGS)...A lovely example of this very popular first year type gold coin from our collectors cabinet! 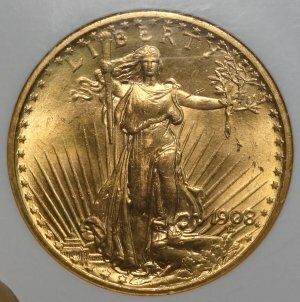 1907-P U.S. $20 Saint Gaudens Gold Double Eagle MS63 (PCGS). . .A wonderfully original uncirculated example of this famous first year Saint Gaudens Double Eagle! 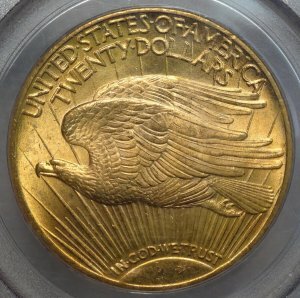 1908-P No Motto U.S. $20 Saint Gaudens Gold Double Eagle MS62 (NGC). . .A frosty brilliant uncirculated gold double eagle! 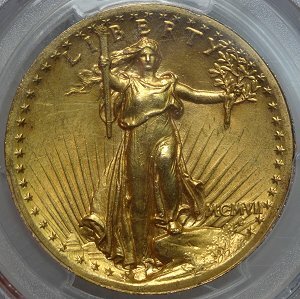 1910-S U.S. $20 Saint Gaudens Gold Double Eagle MS63 (NGC)...A beautiful coin that is ready for your collection! 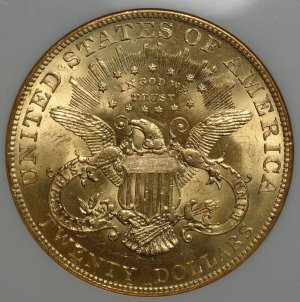 Very scarce in all grades. 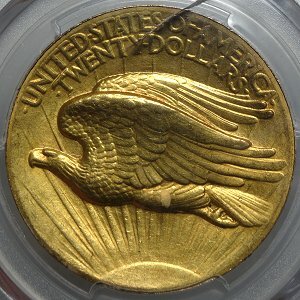 1924-P U.S. $20 Saint Gaudens Gold Double Eagle MS64 (PCGS). . .A frosty choice brilliant uncirculated gold double eagle!